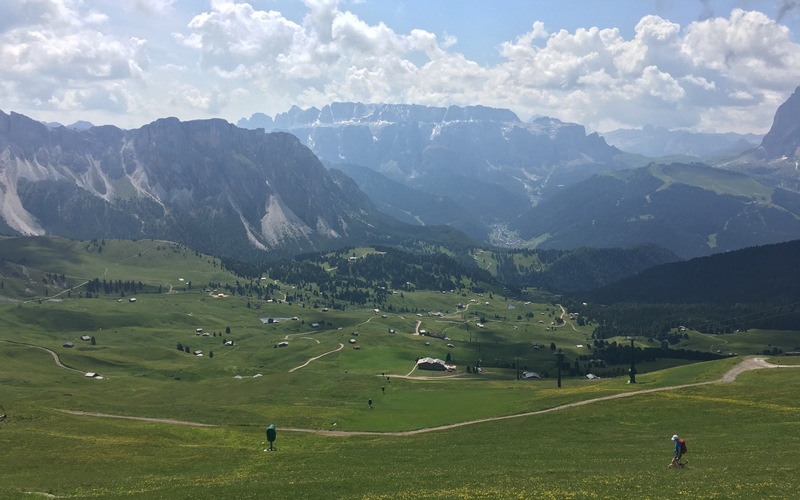 This panoramic tour of Alpe di Siusi promises stunning mountain views without any great effort. The variety of itineraries gives you the possibility to choose your excursion according to the training level. You can start the tour directly from Montchalet, riding the bike until Ortisei center and “Mont Seuc” cable car. The gondola will take you to an altitude of 2.000 m, where you can enjoy a breathtaking wonderful view on the Sassopiatto, Sassolungo and Sciliar. Continue on the left till “Schgaguler mountain hut”, which is really famous for families, thanks to a small “alpine zoo”. Carry on till the Hotel Icaro: from there you can choose between “Sanon mountain hut” direction (on the left) or Compach direction (on the right). If you choose to turn on the left, you can stop at “Malga Sanon”, to rest and relax yourself. 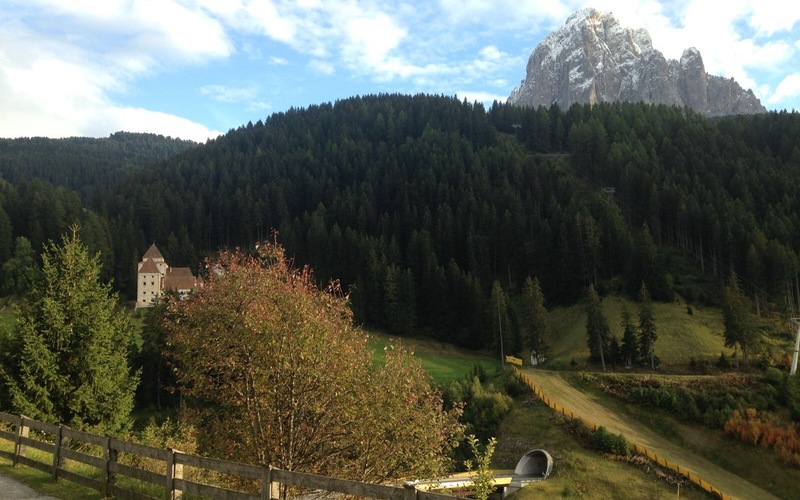 From here, you can come back to “Hotel Sole” and biking up until the cable car. Another option, can be to continue until “Baita Rauch” to enjoy the tipical and local cuisine. From this hut you can come back from the main road until “Mont Seuc” starting point. 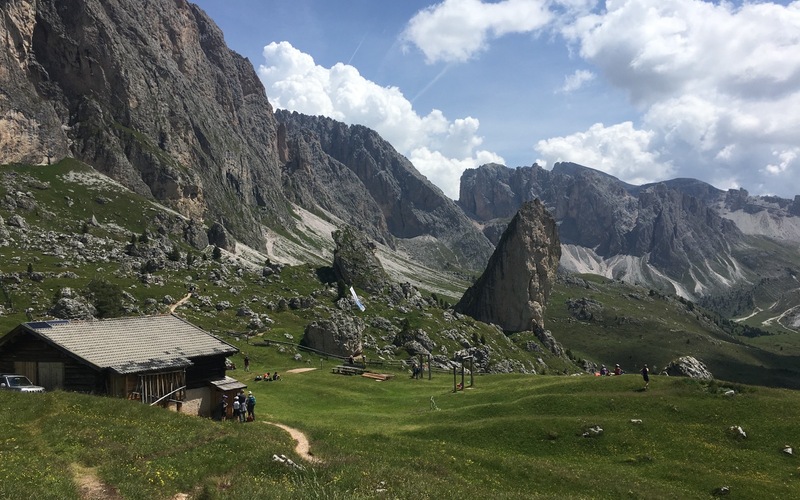 If you choose to turn on the right side, keeping going straight until “Compaccio” town and do not miss the opportunity to stop in the famous “Gostner Schweige” hut, they are specialized to cook with flowers. After this stop, follow direction “Panorama/Ritsch”, cross the woods and lawns until “Baita Rauch”. From there, as already described, you can come back on the main road until the cable car.